The Venue :: Geelong, near Kilgour St Grocer. Details provided after booking. The topic could be about business, well-being, spirituality, metaphysics, marketing, connecting with customers, using your voice, flowing with your own cycle and power in your periods. Our KnowX business + well-being topic this month is Business with Flow – Embrace the Power in your Period. Stop fighting your biology and boost your business productivity. Syncing your business with your natural body rhythms. How to stop hating your periods. How better periods mean better business, period. Briefly hear from our host and mentors Stasha, The Period Coach and Leah Kearns about the topic. Stay and hang out to co-work or chat for another hour if you wish. Now is your chance for you to have your period, business, well-being, and metaphysical or spiritual questions answered when it comes to knowing more about flowing with your own cycle and power in your periods! Location will be confirmed via booking confirmation prior to the session. Location is near Kilgour Street Store. Public transport is available at South Geelong Station. 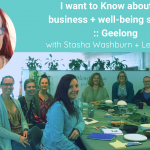 This is a conscious session with Stasha, The Period Coach, and Leah Kearns founder of WE-Being. Stasha’s purpose is to help women learn and embrace the Power in their Periods. It’s her life’s mission to end the taboo around menstruation for women. From little things like marketing to make women feel shame, to the death’s of women each and every year due to this taboo. 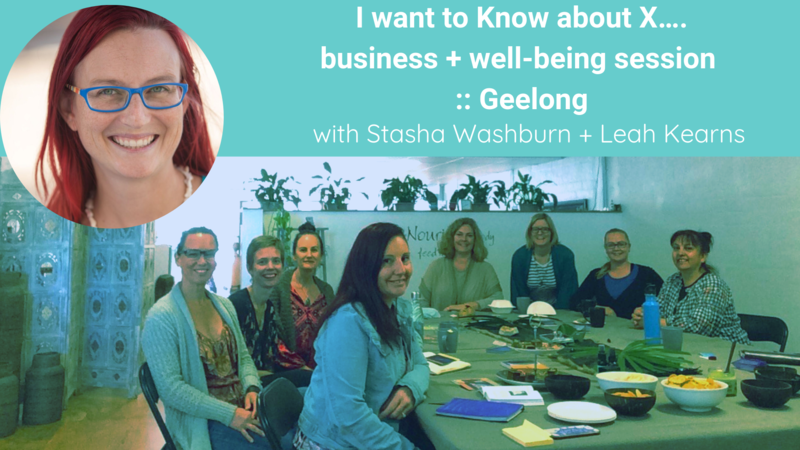 Stasha inspires and supports women wanting to be empowered in their periods and flow – both in business and life.